France's Presidential Election and Cultural Icon Destruction – ITEL Radio – 5.6.17 | Inside the Eye - Live! Inside the Eye – Live! 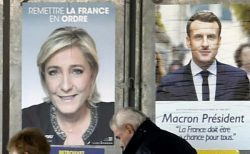 for Saturday, April 6, 2017, examined some of the demographics and political currents of the French presidential election between Marine Le Penne of the National Front and Emmanuel Macron of Enmarche. Macron would go on to win in a landslide. 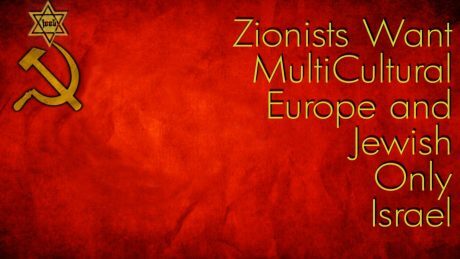 In hour two, we discussed the ongoing efforts by Jewish sponsored “leftists”, anarchists, and outright Communists who are seeking to destroy as much of evidence of Western civilization as possible through ongoing destruction of cultural icons. Listener calls filled out much of the balance of the show as we discussed Jewish non-profit organizations and how a large majority of these operations are either designed to force full support for Israel, funnel funds to Israel, or advance anti-Western agendas within Western republics and democracies.